MediaCenter Drupal Commerce– is a clean, modern, user friendly – with many of functions theme just perfect for your Electronic eCommerce project. This is base on profile install with Fully Demo just in three clicks. 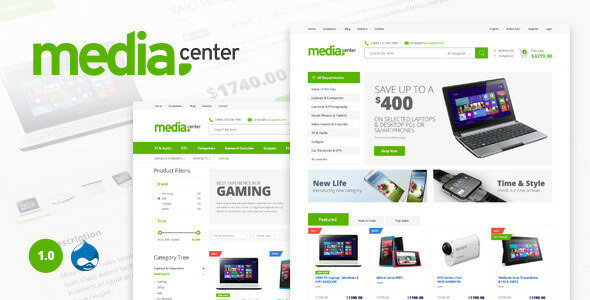 MediaCenter is great way to create your Site with Drupal and Drupal Commerce. It also gives you a set of options to create a fully-featured demo store.